including one about the Rafale row, the party said here Thursday. "Six of our election advertisements were rejected by the EC on different grounds. There was nothing objectionable in these campaign teasers and it looks like there is Centre's pressure on the EC," said Shobha Oza, state Congress media cell chief. The Election Commission said on Thursday that it will take a final call in PM Narendra Modi's biopic release on Friday. Earlier today, Omung Kumar B has told ANI that the fiml won't be releasing on 5 April as planned. "We don't want to tell you the date now. Opposition had come forward, tried things. It's late but we know what date to release it on," he said. Unverified reports have said the film is yet to receive a CBFC certificate. CPM politburo member Nilotpal Basu wrote to the Election Commission (EC) on Thursday against the launch of Namo TV, alleging that it was a "brazen violation" of the Model Code of Conduct (MCC). Alleging that a series of violations by the ruling BJP "severely constrain" the level-playing field for all the political parties and candidates contesting the upcoming Lok Sabha election, Basu demanded action from the poll body. "To start with, we are dumbfounded to come across the information that NaMo TV, which advertises for 'Real time coverage of PM Modi's exciting election campaign and a lot more fascinating content', has been on air for over a week now and it does not even have a broadcast license. The Communist Party of India has fielded nine candidates for the Lok Sabha polls in Uttar Pradesh and has plans to nominate candidates in a couple of more seats in the state, a party leader said Thursday. CPI's Uttar Pradesh unit Secretary Girish said, "At the commencement of the 2019 Lok Sabha elections, our leaders approached all the secular parties including the Congress, and the SP-BSP-RLD alliance, since our only target is to defeat the BJP." "Since none of the political parties gave us any concrete assurance, we had to field as many as nine candidates in the state. The party will field two to three more candidates," he said. Apart from senior CPI leader Atul Kumar Anjan who will fight in Ghosi Lok Sabha seat, the party has fielded candidates in Robertsganj, Khiri, Banda, Bareilly, Ballia, Shahjahanpur, Lalganj and Gorakhpur. Congress President Rahul Gandhi on Thursday thanked the people of Wayanad for their support after he filed his nomination papers for the Lok Sabha seat in Kerala and said he was overwhelmed by their love and affection. "I am overwhelmed by the love and affection of the people of Wayanad in Kerala, where I filed my nomination today for the Lok Sabha. Thank you for your support and warm welcome," he said on Twitter. "I also want to wish the journalists injured in a mishap during our road show a speedy recovery," he also said. The journalists, covering Gandhi's road show after he filed his nomination papers, allegedly fell off an open vehicle after a barricade broke and collapsed, eyewitnesses said. Gandhi and his sister Priyanka Gandhi Vadra extended a helping hand the injured journalists. 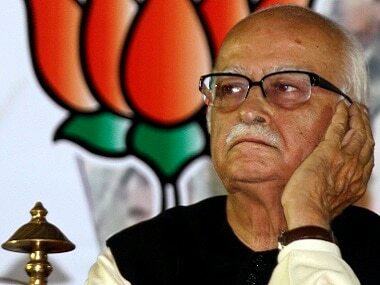 In a blog post titled ‘Nation First, Party Next, Self Last', senior BJP leader LK Advani backed his party on various issues, days after being dropped as the candidate for the Gandhinagar seat. "Right from its inception, the BJP has never regarded those who disagree with us politically as our “enemies”, but only as our adversaries. Similarly, in our conception of Indian nationalism, we have never regarded those who disagree with us politically as “anti-national”. The party has been committed to freedom of choice of every citizen at personal as well as political level," he said. Speaking at a poll rally in Gondia on Wednesday, Modi had alleged Nationalist Congress Party (NCP) leaders "were unable to sleep" as their "sleep was jailed in Delhi's Tihar". At another public meeting at Wardha on Monday, the prime minister had attacked Pawar, saying the veteran leader has lost grip over his party and that a "family feud" had struck it. ANI quoted director Omung Kumar B as saying, "Suspense! The film isn't releasing tomorrow, not on 5 April. But it'll be done soon, you'll get to know. We don't want to tell you the date now. Opposition had come forward, tried things. It's late but we know what date to release it on." Unverified reports have said the film is yet to receive a CBFC certificate. BJP president Amit Shah has cancelled his visit to Telangana, where he was scheduled to address two public rallies Thursday, as he had to attend an "emergency meeting" on the partys manifesto and poll-related issues, a top leader said. Shah was slated to address public meetings in Karimnagar and Warangal. The Prime Minister, Amit Shah and other leaders held an emergency meeting on Thursday morning and discussed manifesto and other issues, party general secretary P Muralidhar Rao said. Dhanshri Patil — wife of BJP candidate from Ahmednagar LS Constituency, Sujay Vikhe Patil — has also filed nomination from the constituency. His office called the step a "precautionary measure if any technical objection comes" in her husband's nomination. Calcutta High Court ordered Mamata Banerjee's nephew Abhishek Banerjee’s wife to appear before Kolkata customs office on 8 April, ANI reported. It also said customs can't take any coercive step. She was held at Kolkata airport on 15 March for allegedly carrying gold without declaration and was later let off following police intervention. Producer of Vivek Oberoi-starrer PM Narendra Modi said in a tweet that the biopic will not be releasing on 5 April. However, he did not mention another release date for the film. Hours after the Samajwadi Party MP from Gorakhpur Praveen Kumar Nishad joined the BJP on Thursday, Samajwadi Party leader Akhilesh Yadav termed it as a 'ghaatey ka sauda' (loss-making deal) for the saffron party and also alleged that money changed hands. "This is BJP's loss making deal as people had voted for the grand alliance in the previous election and not the parliamentarian," Akhilesh Yadav said in a tweet. Addressing a rally in Bulandshahr, Uttar Pradesh chief minister Yogi Adityanath said, "Congress president Rahul Gandhi has filed nomination from a Lok Sabha constituency of Kerala. You all know, he is an MP from Amethi, he knows defeat is confirmed, that's why he ran away to Kerala. "And with whose support they want to win elections in Kerala. Congress is fighting in alliance with (Indian Union) Muslim League in Kerala, the same Muslim League that became the reason of country's partition. According to ANI, President Ram Nath Kovind forwarded the report on Rajasthan governor Kalyan Singh to the home ministry. The Election Commission had written to the president against him for violation of model code of conduct. Singh had said "We're BJP workers and want BJP to emerge victorious. We want that once again Modi ji should become the prime minister on 23 May." Congress and BJP workers clashed outside the collector's office in Surat in Gujarat on Thursday when candidates of both the parties arrived to file their nominations for the Surat Lok Sabha seat, police said. The clash took place soon after BJP candidate Darshana Jardosh and Congress nominee Ashok Adhewada reached outside the collector's office along with their supporters to file their nomination papers, she said. However, the police managed to disperse the angry workers without using any force and quickly brought the situation under control, she said. Congress workers created ruckus at the party office in Patna over denial of ticket to former party MP Nikhil Kumar from Aurangabad parliamentary constituency. The grand alliance has fielded Upendra Prasad of Hindustani Awam Morcha (Secular) as its candidate from the seat. In a Facebook post, Finance Minister Arun Jaitley claimed that the Congress manifesto is promises changes which will regulate and restrict free journalism. "The manifesto is liberal towards terrorists, criminals and insurgents. But it demolishes otherwise the current structure of independent media in India," he wrote. "History has witnessed, both in the case of fake news and paid news, as also resistance to political and governmental pressures, professionally managed large organisation are less vulnerable. They have a muscle to resist. Why does the Congress want to unscramble a scrambled egg? This move will meet the fate of the 1988 Defamation Bill." Senior Congress leader P Chidambaram lashed out at Finance Minister Arun Jaitley over his "tukde tukde gang" remark against the party. "There is no tukde tukde gang in the Congress. There is only a flip flop gang in the BJP," he wrote on Twitter. Jaitley had said on Tuesday that the Congress manifesto seemed to have been drafted by Rahul Gandhi's friends in the "tukde-tukde" gang where the manifesto deals with Jammu and Kashmir and the national security. "Is Jaitley supporting 'enforced disappearance, sexual violence and torture'? We say that in these three cases there should be no immunity under AFSPA. What does Jaitley say," Chidambaram asked. Union minister Smriti Irani, who is seeking a Lok Sabha ticket from Amethi constituency. told CNN-News18, "He (Rahul Gandhi) is a neta who will be available once in five years only to take votes. That is the reality which even Rahul can't turn away from because people in Amethi are witnesses to that reality." Defending Narendra Modi's decision to contest from two seats in the 2014 election, she said that Rahul was a three-time MP from Amethi as opposed to Modi who was seeking an entry into the Lok Sabha for the first time. She also claimed, "We have seen those times in India when people used to vote for Sonia’s children; now they want to vote for their children"
Congress has announced a list of candidates to be fielded by the party from some of the Madhya Pradesh Lok Sabha constituencies. Chief minister Kamal Nath's son Nakul will contest from Chhindwara, Ajay Singh Rahul will contest from Sidhi and Arun Yadav is set to contest from Khandwa. "Someboy who has been told by his local karyakartas to leave, must be feeling quite unsafe," Smriti Irani told News18 after her Salon rally in Amethi, when asked about whether Congress chief Rahul Gandhi was considering Wayanad a "safe seat for himself". Mehbooba Mufti addressed BJP chief Amit Shah on Thursday and said that the second the Article 370 is abolished, the Indian government will become an "occupational force in Jammu and Kashmir". She also likened the situation to that of the Israeli occupation of Palestine. Millions of Hindus will wake up at the crack of dawn this Saturday, five days before the start of Lok Sabha election, and march to nearby temples to chant a sacred hymn and renew a pledge to build a Ram temple on the ruins of the 16th-Century Babri mosque. Hardline Hindu groups, allied to the Bharatiya Janata Party (BJP), say that they will mobilise more than 10 million people on 6 April — the start of the Hindu New Year — to shore up support for the contentious plan to build the temple in Ayodhya. But while the event will keep the focus on a core demand of Hindu nationalists, it will not overtly be part of the BJP's election campaign, signalling a softer approach by the ruling party, multiple sources familiar with discussions said. "For 15 days you (Rahul Gandhi) couldn't do anything in Amethi and now you've gone to Kerala," she said. She referred to Rahul as the 'missing MP' and said the Congress has deliberately denied development to the constituency so that its farmers remain poor and subservient to generations of Congress leaders. Priyanka Gandhi Vadra has tweeted that her brother, Congress chief Rahul Gandhi, is the "most courageous man" she knows. She wrote an impassioned line to Wayanad itself, asking the constituency to "take care of him" because "he will not let them down." Yogi Adityanath has questioned the presence of workers of the Indian Union Muslim League at Rahul Gandhi's roadshow at Wayanad in Kerala. 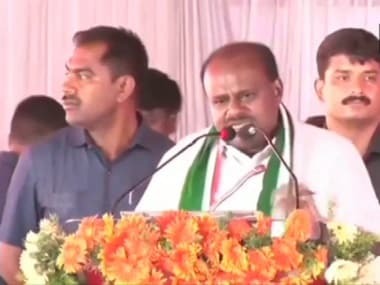 "In Wayanad, Rahul Gandhi had to ask the activists of his special ally, Muslim League in Kerala, to not to come to the rally with the party's green flag, as UP voters would be outraged," the Uttar Pradesh chief minister wrote on Twitter, ostensibly making a point that because this was the Muslim League, Rahul's secular ideologies had been compromised. Rahul Gandhi significantly said he would not target any of the vitriol against the CPM in Kerala. "I wanted to give a message that India is one. There is an assault and attack taking place on the idea of India by Narendra Modi and the BJP," Rahul Gandhi said after filing his nomination papers at Wayanad on Thursday. "South India, Tamil Nadu, Kerala, Karnataka, have been feeling that the way Narendra Modi has been speaking and acting, there is an assault happening on their culture," he added. Smriti Irani, who is in Rahul Gandhi's home constituency of Amethi, tweeted while the Congress chief's Wayanad roadshow was on, saying, that Rahul is off supporting 'anti-national forces'. She also said that Vijay Kishore Tiwari, who was a BSP candidate in the Gauriganj assembly elections in 2017, would be joining the BJP. Smriti had earlier alleged that Rahul has insulted the people of Amethi by also contesting from Wayanad. Congress leader Mallikarjun Kharge has filed his nomination from the Gulbarga parliamentary constituency in Karnataka. CPM leader Sujan Chakraborty has tweeted that his party's leaders, including candidate Dr Fuad Halim, have been surrounded by Trinamool Congress "goons" at Diamond Harbour in Bengal. Former Rajya Sabha MP Ananda Bhaskar Rapolu has joined BJP. He made the move in the presence of Union health minister JP Nadda in Delhi. He had resigned from Congress party last month. Congress president Rahul Gandhi is now holding a roadshow in Wayanad after filing the nomination papers. Priyanka Gandhi Vadra and Ramesh Chennithala are also present on his open topped bus. Rahul Gandhi has finished filing his nomination papers at the Wayanad Collectorate and is now going to be leading a roadshow across the district headquarters town on an open bus, along with sister Priyanka Gandhi and senior Congress leaders. Rahul Gandhi has reached the Collectorate in Wayanad and is currently filing the papers. The Congress chief is seated opposite to the returning officer. The process of filing nomination papers is a long one, involving several steps and declarations. Congress president Rahul Gandhi and general secretary of Uttar Pradesh East Priyanka Gandhi Vadra have arrived at Wayanad from Kozhikode. Rahul Gandhi and Priyanka Gandhi have arrived at Wayanad via chopper. The Congress chief was greeted effusively by Congress and UDF leaders. The roadway from the Wayanad school grounds to the Collectorate's office is reportedly filled with Congress workers. Congress leader Sanjay Jha called Prime Minister Narendra Modi a "terrible disaster," an "embarrassment" and "a joke" and called for his "crazy bakwas" to come to an end. Congress workers have gathered in large numbers at Wayanad to welcome Rahul. Amidst concerns over whether Rahul's move to contest from Wayanad will alienate the CPM from the party, the consensus is largely one of jubilation in Kerala. Congress workers have also told News18 correspondents that this enthusiasm is one they wish will spiral across the south. Wayanad is an agrarian constituency and located close to Tamil Nadu and Karnataka too. Finance minister Arun Jaitley attacked Congress president Rahul Gandhi on Wednesday for what he called sweetheart deals with fly-by-night operators that included receiving inflated rent payments, saying he must remember to explain his affairs before levelling allegations, reported Times of India. Reacting to a media report of a farm house owned by Rahul Gandhi and his sister Priyanka Gandhi Vadra, which was rented out to what he called tainted businessmen, Jaitley said people in glass houses should not throw stones. Prime Minister Narendra Modi and Trinamool Congress supremo Mamata Banerjee on Wednesday went for each other's jugular in battleground West Bengal, with the prime minister castigating "speed-breaker Didi" for allegedly stalling the state's development and the TMC chief hitting back with a warning that he will face a "voter strike". 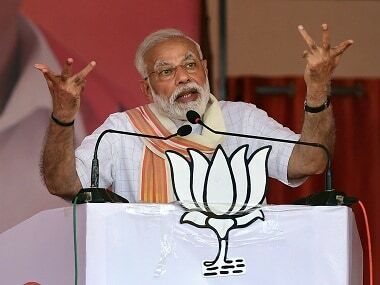 Modi, who kicked off his Lok Sabha campaign in West Bengal with back-to-back rallies in Siliguri and Kolkata on Wednesday, hit out at Banerjee over a host of issues, including alleged lack of development, perpetuating family rule and for seeking proof of the Indian Air Force's retributive strike on terror camps in Pakistan to avenge the Pulwama killing of 42 CRPF troopers. Not one to take things lying down, the West Bengal chief minister mounted a blistering counter-offensive, mocking Modi's "56-inch chest" and claiming his government did nothing to save the lives of the CRPF jawans despite having "information" about the impending terror attack. "We are nationalists, not fascists," she asserted. In Wayanad, Rahul will be greeted not just by the ecstatic mob of Congressmen alone, but a motley crowd of grim-faced farmers and Adivasis as well. Farmers and Adivasis, the two major segments of Wayanad population, are the most worried groups even though they together form a formidable 40 percent of voter base in the constituency. Farmers are the hapless victims of climate change attaining monstrous forms, blood sucking public and private money lenders, free fall of produces' price, straying wild beasts and a slew of other problems. Life of Adivasis has reached a dead end. Alienation from their land, a dearth of safe housing, lack of clean drinking water, insufficient food, lack of proper healthcare, inefficient education system, and the list goes on. Wayanad is the largest tribal settlement in Kerala. BJP president Amit Shah is scheduled to address public meetings in Telangana and Andhra Pradesh. He will first speak at Karimnagar (11.45 am) and Warangal (1.30 pm) in Telangana and then address rallies at Narasaraopet (3.30 pm) and Visakhapatnam (6 pm) in Andhra Pradesh. Saritha S Nair, the prime accused in multi-crore solar scandal, will be fighting as an Independent candidate against Congress chief Rahul Gandhi, in Kerala's Wayanad constituency, reported News18. The new entrant has chosen Ernakulam as her second seat. Rahul will file his nomination papers on a day when Bharatiya Janata Party candidate Smriti Irani is scheduled to campaign in Rahul's home constituency of Amethi. Irani is expected to speak at the BJP's Kisan Morcha Sammelan around 11 am. Congress chief Rahul Gandhi is expected to file his nomination from the Wayanad seat in Kerala on Thursday in the presence of his sister and party general secretary for Uttar Pradesh East Priyanka Gandhi Vadra. He will lead a roadshow before filing the papers around 10.30 am. Rahul is also scheduled to address a rally in Nagpur around 5 pm. LK Advani's views assume significance at a time when the BJP under Prime Minister Narendra Modi and party president Amit Shah have made the issue of national security a key plank for the general elections and have often accused its political rivals of speaking the language of India's enemies like Pakistan. Many BJP leaders have also often used terms like "anti-national" to target Opposition leaders. "The essence of Indian democracy is respect for diversity and freedom of expression. Right from its inception, the BJP has never regarded those who disagree with us politically as our 'enemies', but only as our adversaries," the 91-year-old leader wrote in a blog ahead of the BJP's foundation day on 6 April. Madhya Pradesh chief minister and Congress leader Kamal Nath denied any involvements with the business dealings of his newphoew Ratal Puri, who was called by the ED to join the AgustaWestland money laundering probe. "He's independent, he has nothing to do with politics. I have nothing to do with his business. Whatever there is, it must be investigated but how these issues come up during elections only?" the Congress leader said, accordign to ANI. Congress president Rahul Gandhi clarified on Thursday that the Nyuntam Aay Yojana (NYAY) will not have any 'adverse' impact on the Indian economy. He said, 'Nyay scheme will be implemented without adversely impacting economy," he said. Addressing a rally in Andhra Pradesh's Guntur, BJP chief Amit Shah said, "On the one hand, we have Modi ji and on the other hand we have mahagathbandhan that neither has a policy and nor a political leader to lead them." ‘विकास’ पूछ रहा है: गोरखपुर में सांसद जी को मठाधीशी का जो झोला भर प्रसाद मिला है, क्या उसे वो पूरा गटक जाएंगे या किसी से बाँटेंगे भी? ये भाजपा का घाटे का सौदा है क्योंकि जनता ने सांसद को नहीं, उनके पीछे एकजुट महागठबंधन को जिताया था. चुनाव में इन मौसेराें की नैया डूबना तय है. Is Mr @arunjaitley supporting 'enforced disappearance, sexual violence and torture'? We say that in these three cases there should be no immunity under AFSPA. What does Mr Jaitley say? Sudheendra Kulkarni poked fun at Priyanka Gandhi's tweet for Rahul Gandhi, in which she wrote an impassioned appeal to Wayanad to "Take care of her brother". "May God protect you both," the BJP leader tweeted, seemingly sarcastically. Words that will find a place in the records of India's history ...and remembered with admiration by future generations. That there was a patriotic SISTER who said this about her patriotic BROTHER. @RahulGandhi and @priyankagandhi, May God Protect You Both! PDP chief Mehbooba Mufti raised the pitch of her offensive against BJP chief Amit Shah's call to abrogate Article 370, by saying that if the article is struck down then Shah will not be allowed to set foot on Jammu and Kashmir. In a fresh attack on Congress president Rahul Gandhi for his decision to contest the Lok Sabha election from Wayanad, besides Amethi in Uttar Pradesh, veteran CPM leader and former Kerala chief minister VS Achuthanandan said his earlier statement calling the Congress president ‘Amul Baby’ was relevant as the Gandhi scion had an attitude of approaching situations without understanding them. Samajwadi Party chief Akhilesh Yadav on Thursday poked fun at the BJP by asking if it will release its manifesto of "achhe din" after the elections. "Vikas puch raha hai...Pradhanji ka acche din wala ghoshna patra kya chunav baad ayega? Is baar toh BJP wale ek-dusre se bhi nahi keh pa rahe 'acche din aane wale hain' toh janata se kya kahenge? ('Vikas' is asking if the prime minister's manifesto of 'achhe din' will come after the polls. This time even the BJP supporters are not able to say 'acche din' is coming, so how will they say this to people?)" Akhilesh said in a tweet. BJP, through its official handle on Twitter, shared a cartoon film showing Rahul Gandhi sleeping in a room with a portrait of late prime minister Indira Gandhi hanging in it, and waking up to a series of whistles being blown by "chowkidaars" around him. Ultimately, Prime Minister Narendra Modi walks up to the house and blows the final whistle, the film shows. Rahul Gandhi filed his nomination from Wayanad in Kerala. Afterwards, he led a roadshow through the town. ये मुस्लिम लीग से समझौता कर चुनाव लड़े तो सेक्युलर ? हम 'सबका साथ सबका विकास' करें तो भी साम्प्रदायिक ? Nishad Party's decision to support the BJP in Uttar Pradesh for the Lok Sabha elections looks to give the saffron party a major boost in the state. The party, though formed in 2015, is an umbrella organisation for many of the backward and downtrodden classes in the state. Praveen Nishad, who joined BJP on Thursday, had won the Gorakhpur seat in the a byelection on a Samajwadi Party ticket in 2018. Nishad Party leader and Gorakhpur MP Praveen Nishad has joined the BJP, a party the NP is set to support in Uttar Pradesh for the Lok Sabha election. Watch Congress leaders make their way through a crowded Wayanad on their roadshow after Rahul Gandhi filed his nomination papers. We, including dr Fuad Halim, the @cpimspeak candidate, are encircled by @AITCofficial goons at Kaiyum Molla's house at Mollapukur, Diamond harbour, south 24 Parganas, #WB. Candidate's program has it's permission from SUBIDHA. A failed adminstration. Finance minister Arun Jaitley has written a new blog post on Facebook, this time asking why Congress president Rahul Gandhi, who is leading a roadshow through Wayanad after filing his nomination papers from there, has not worked for a day in his life. "The late Shri Rajiv Gandhi was an Indian Airlines pilot for a brief period and, thereafter, he was in full time politics. On the basis of the available information, neither Smt. Sonia Gandhi nor Rahul Gandhi have ever worked for a living." Jaitley wrote. The post then went on to alleged that Rahul enjoys 'sweetheart' deals with what Jaitley calls 'fly-by-night operators'. 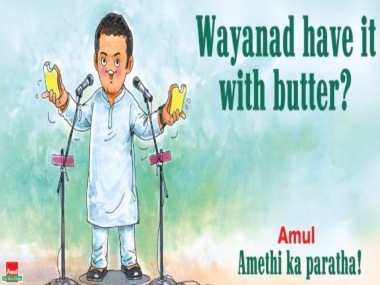 Amul butter has released one of its salient tongue-in-cheek cartoon advertisements, noting Rahul Gandhi's filing of nomination papers from Wayanad on Thursday. 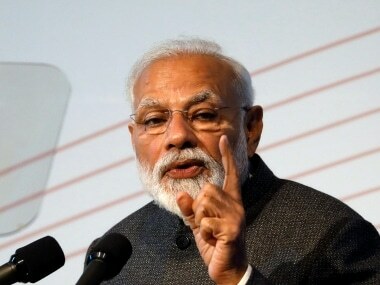 Lok Sabha Election 2019 LATEST updates: The Election Commission said on Thursday that it will take final call in PM Narendra Modi's biopic release on Friday. Earlier, the film producer had said that the film, which was scheduled to be released on Friday, has been postponed indefinitely. The news has come even as senior BJP leader LK Advani, in a blog post titled ‘Nation First, Party Next, Self Last', backed his party on various issues, days after being dropped as the candidate for the Gandhinagar seat. "Right from its inception, the BJP has never regarded those who disagree with us politically as our “enemies”, but only as our adversaries. Similarly, in our conception of Indian nationalism, we have never regarded those who disagree with us politically as “anti-national”. The party has been committed to freedom of choice of every citizen at personal as well as political level," he said. Producer of Vivek Oberoi-starrer PM Narendra Modi said in a tweet that the biopic will not be releasing on 5 April. However, he did not mention another release date for the film. The Election Commission had earlier given its approval for the release of the biopic, and had said that it was upto the Central Board of Film Certification to decide on on whether to allow the release of the film. President Ram Nath Kovind has forwarded the report on Rajasthan governor Kalyan Singh to the home ministry. The Election Commission had written to the president against him for violation of the Model Code of Conduct. Singh had said "We're BJP workers and want BJP to emerge victorious. We want that once again Modi ji should become the prime minister on 23 May." In a Facebook post, Finance Minister Arun Jaitley claimed that the Congress manifesto promises changes which will regulate and restrict free journalism. "Congress manifesto contains suggestions on media, each one of which, will regulate, restrict free journalism and otherwise multiplicity of Indian media," he wrote. Senior Congress leader P Chidambaram lashed out at Finance Minister Arun Jaitley over his "tukde tukde gang" remark against the party. "There is no tukhde tukhde gang in the Congress. There is only a flip flop gang in the BJP," he wrote on Twitter. Congress has announced a list of candidates to be fielded by the party from some of the Madhya Pradesh Lok Sabha constituencies. Chief minister Kamal Nath's son Nakul will contest from Chhindwara, Ajay Singh Rahul will contest from Sidhi and Arun Yadav is set to contest from Khandwa. PDP chief Mehbooba Mufti addressed BJP chief Amit Shah on Thursday and said that the second the Article 370 is abolished, the Indian government will become an "occupational force in Jammu and Kashmir". She said Shah will not be allowed to set foot in Jammu and Kashmir if the Article is abrogated. She also likened the situation to that of the Israeli occupation of Palestine. BJP's candidate for Amethi, Smriti Irani, said at a rally in Salon that Rahul as a "missing MP" and said the Congress has deliberately denied development to the constituency so that its farmers remain poor and subservient to generations of Congress leaders. "For 15 days you (Rahul Gandhi) couldn't do anything in Amethi and now you've gone to Kerala," she said. Shortly after Rahul Gandhi filed nomination papers from Wayanad, Priyanka Gandhi Vadra has tweeted that her brother was the "most courageous man" she knows. She wrote an impassioned line to Wayanad itself, asking the constituency to "take care of him" because "he will not let them down." Narendra Modi has failed farmers and those looking for jobs, Rahul Gandhi said after filing his nomination papers at Wayanad. "I wanted to give a message that India is one, and deal a blow to the divisive forces of the BJP and the RSS," the Congress chief added. He said that he wanted to make it clear that he will not say a word against the CPM and that he fully understood that the CPM had to attack the Congress. Nishad Party leader and Gorakhpur MP Praveen Nishad has joined the BJP, a party that the Nishad Party has announced that it will support in Uttar Pradesh for the upcoming Lok Sabha election. NP leaving the side of Samajwadi Party and joining the BJP is being seen as a huge boost to the saffron party as the former, though formed in 2015, is an umbrella organisation of many downtrodden and backward classes. Smriti Irani, who is in Rahul Gandhi's home constituency of Amethi, tweeted while the Congress chief's Wayanad roadshow was on, saying, that while Rahul is off supporting 'anti-national forces', Vijay Kishore Tiwari, who was a BSP candidate in the Gauriganj assembly elections in 2017, would be joining the BJP family. Smriti had earlier alleged that Rahul has insulted the people of Amethi by also contesting from Wayanad. Meanwhile, Rahul Gandhi has finished filing his nomination papers at the Wayanad Collectorate and is participating in a roadshow across the district headquarters town on an open bus. He is accompanied by sister Priyanka Gandhi and senior Congress leaders. The roads from the Collectorate are chockablock with Congress supporters who have been enthusiastic in attendance. The Election Commission has taken note of Dalit leader Prakash Ambedkar's controversial remarks on "jailing EC officials" for at least two days if he is elected. The poll panel has asked for a report in this regard. Congress leader Sanjay Jha called Prime Minister Narendra Modi a "terrible disaster," an "embarrassment" and "a joke" and called for his "crazy bakwas" to come to an end. Rahul Gandhi is set to arrive at Wayanad with sister Priyanka Gandhi, from Kozhikode in about 20 minutes, reported News18. The two leaders are headed there in a chopper. He is now headed to the Collector's office to file his nomination papers. 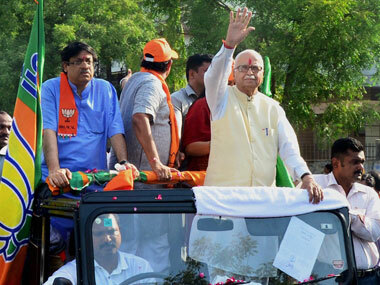 The two leaders will embark on a roadshow following the nomination filing. Rahul Gandhi contesting from Wayanad in Kerala has been hailed by Congress workers in the state who have shown unprecedented levels of excitement in welcoming the leader. 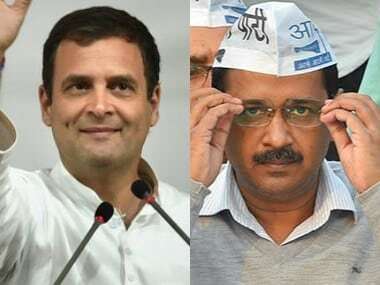 The BJP, however, has said Rahul is aiming to garner the minority vote of the region, to which Congress has alleged that the south has been ignored by the BJP government at the Centre and this is the first time that a leader of national prominence has put it under the spotlight. Vanchit Bahujan Aghadi (VBA) leader Prakash Ambedkar, reported News18, has threatened to jail 'Election Commission officials' for a at least two days if he comes to power. The Dalit leader, speaking at a rally at Yavatmal in Maharashtra, slammed the Election Commission for having said that political parties should not talk about Pulwama, something Ambedkar felt was his 'basic Constitutional right'. He then went on to threaten Election Commission officials with jail. Rahul Gandhi will file his nomination papers on a day when Bharatiya Janata Party candidate Smriti Irani is scheduled to campaign in Rahul's home constituency of Amethi. Irani is expected to speak at the BJP's Kisan Morcha Sammelan around 11 am. "A person who has been in Amethi for 15 years has decided to give up on his supporters. Come elections, he has chosen to file nominations from another constituency," Smriti said. As campaign heats up for the Lok Sabha election, the focus shifts from north India to the south with Congress chief Rahul Gandhi expected to file his nomination on Thursday from the Wayanad seat in Kerala in the presence of his sister and party general secretary for Uttar Pradesh East Priyanka Gandhi Vadra. He will also lead a roadshow before filing the papers around 10.30 am. Notably, Rahul has a new opponent in the Wayanad seat where he is already set to go head-to-head with NDA candidate Thushar Vellapally — Saritha S Nair, the prime accused in the multi-crore solar scandal. This comes on a day when Bharatiya Janata Party candidate Smriti Irani is scheduled to campaign in Rahul's home constituency of Amethi. Irani is expected to speak at the BJP's Kisan Morcha Sammelan around 11 am. Rahul is also scheduled to address a rally in Nagpur around 5 pm. Meanwhile, BJP president Amit Shah is scheduled to address public meetings in Telangana and Andhra Pradesh. He will first speak at Karimnagar (11.45 am) and Warangal (1.30 pm) in Telangana and then address rallies at Narasaraopet (3.30 pm) and Visakhapatnam (6 pm) in Andhra Pradesh. Shah has maintained a punishing schedule ahead of the election, but his remarks on doing away with Article 370, which promises special status to Jammu and Kashmir, have met with severe criticism from the state's mainstream parties in the past few days. The BJP finds itself in sticky waters as the Election Commission has now issued a notice to Uttar Pradesh chief minister Yogi Adityanath over his "Modi ji ki sena" (Prime Minister Narendra Modi's army) remark at a rally. The commission has asked him to file a reply by Friday. Congress candidates for Mumbai are expected to release a separate manifesto for the city on Thursday. All party candidates, including Milind Deora, Priya Dutt, Urmila Matondkar and Sanjay Nirupam are expected to be present at the 12 pm event. The city-specific manifesto is likely to echo the broad themes of the party's much-discussed election manifesto which was released on Tuesday.